In January 2016, Dolphin Project Cove Monitors observed a pod of approximately 35-40 striped dolphins driven into The Cove. For this unsuspecting pod, the hours following their capture would be harrowing, as they desperately sought to escape the grasp of the hunters and nets. In terror they would throw their bodies against the rocks and thrash against the nets, seeking any avenue to freedom. On this day, no lives were spared. The following photos depict some of the last moments of these dolphins’ lives. 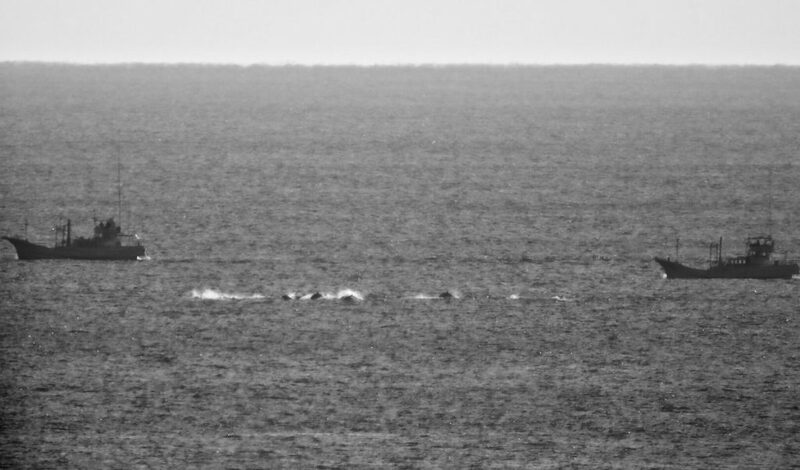 The hunt ~ the sea is beat to a froth as a pod of striped dolphins attempts to evade the aggressive hunting boats. 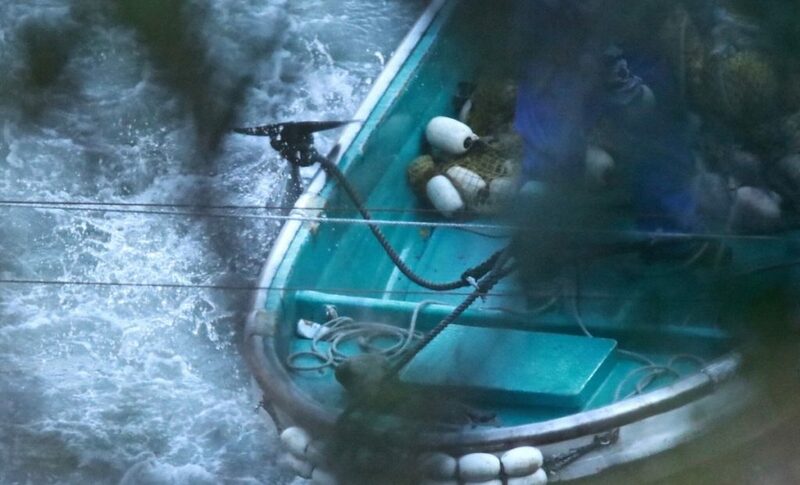 Pod of striped dolphins flee banger boats as hunters are in relentless pursuit. 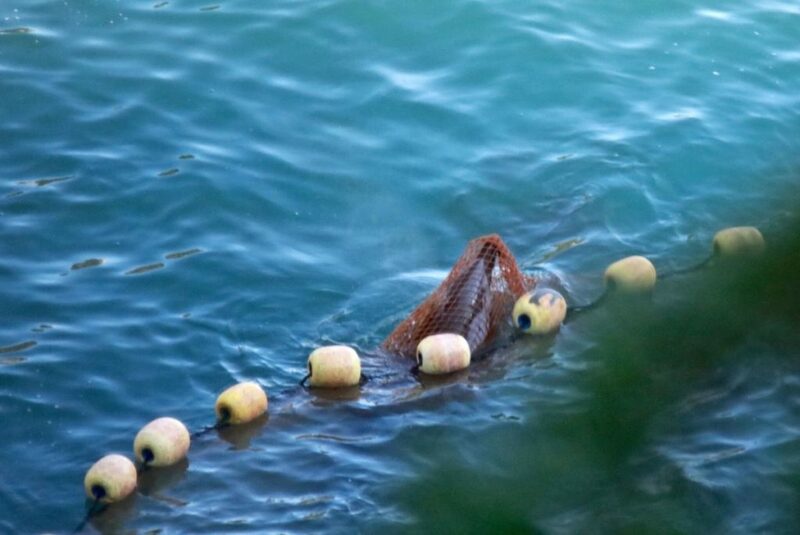 Exhausted, the pod are moments away from being trapped in the cove as nets are laid down, preventing escape. 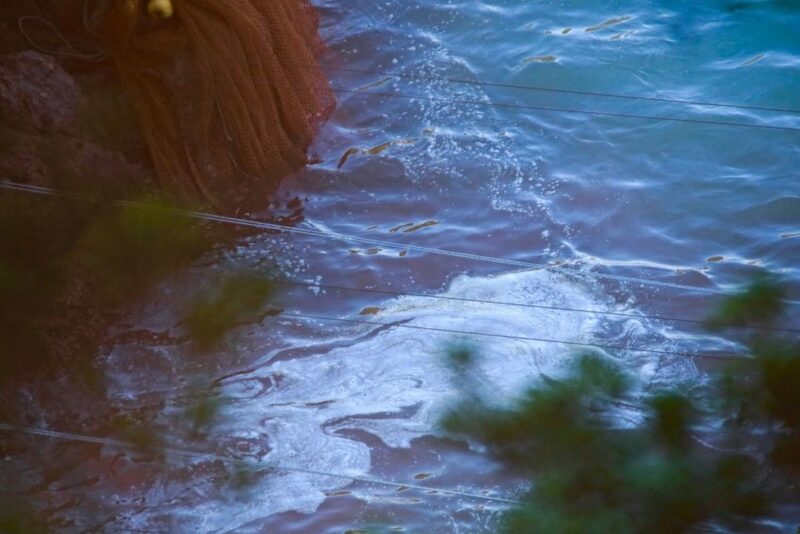 Fate is sealed for pod as they are netted (and trapped) in the cove. One dolphin attempting escape gets caught underneath the nets. Panicked dolphin gets caught underneath nets. Terrified and terrorized: Dolphins begin popping their heads out of the water, and find themselves staring into the eyes of their killers. Staring into the eyes of killers. 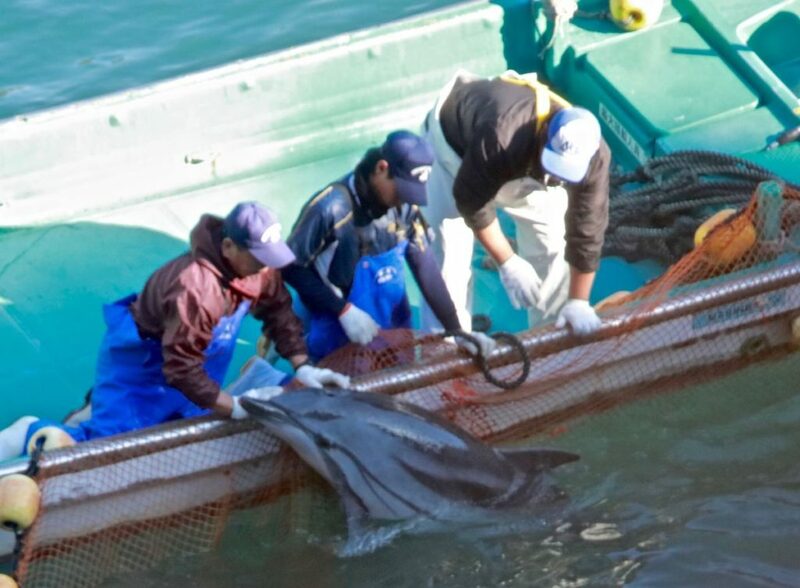 Another panicked dolphin throws itself onto the nets. This time, a diver pushes the mammal back. 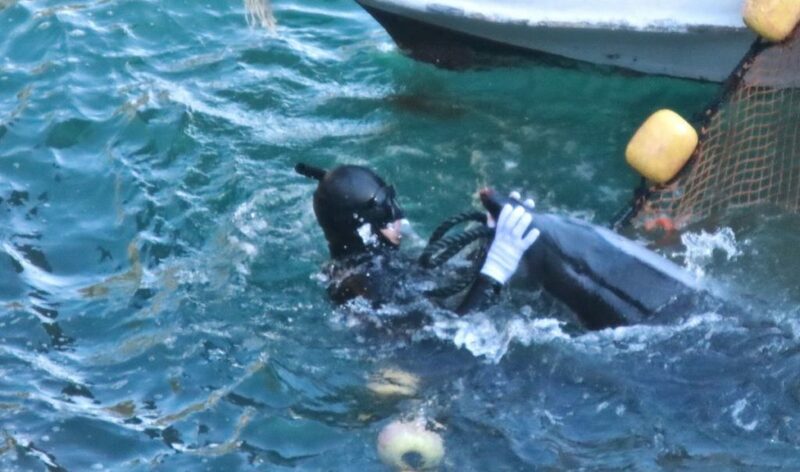 Diver pushes another panicked dolphin off the nets. Face to face: One species fights for its life, another species fights to extinguish it. One species fights for its life, another species fights to extinguish it. 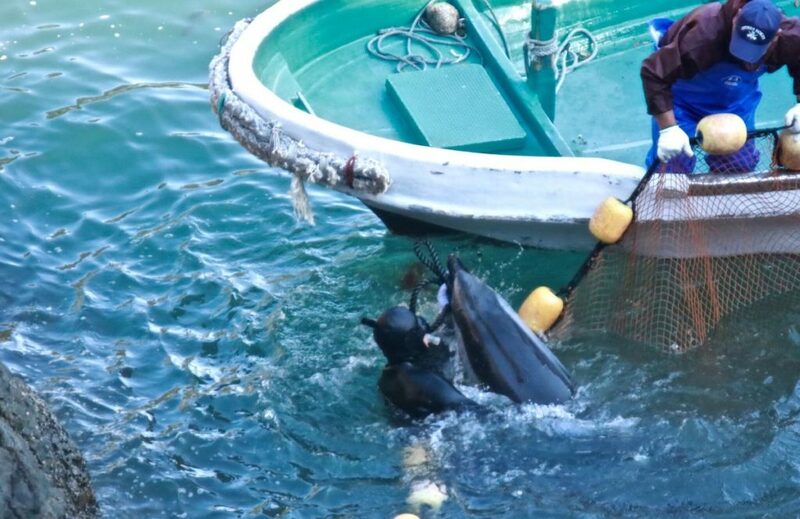 The hunts themselves are deadly: Numerous injuries cover the face of a dolphin as the panic in the cove continues. 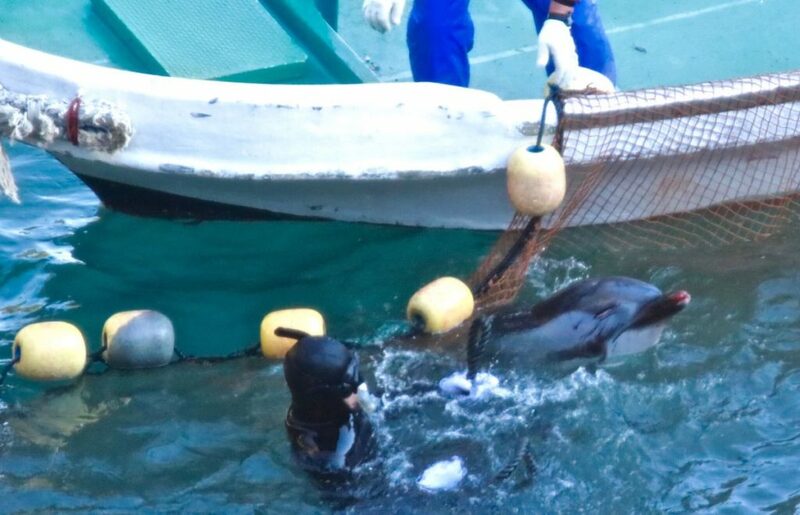 Dolphin is covered in numerous injuries prior to slaughter. Fishermen/hunters look on as blood pours from the rostrum of a dolphin. 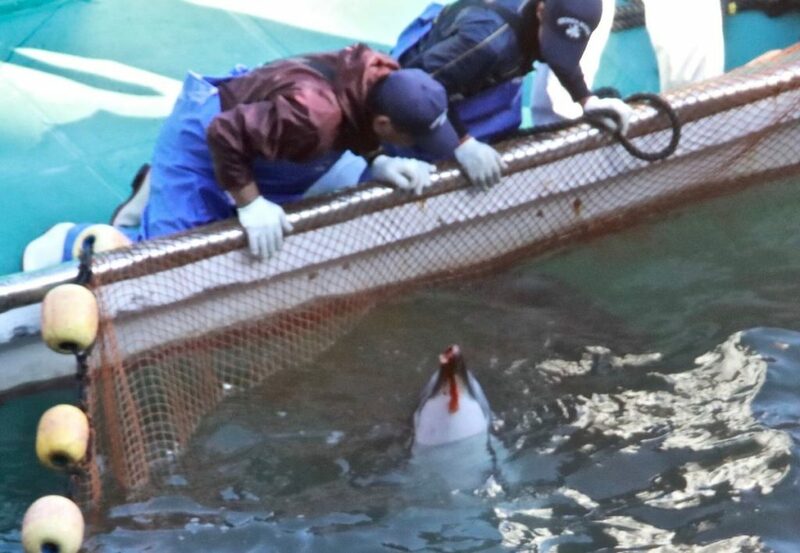 Blood pours from dolphin’s rostrum prior to slaughter as fishermen/hunters look on. Drowned alive: Wrapped by its flukes, a dolphin is dragged towards the shallow waters, where it will be slaughtered under tarps. Roped by the flukes and drowned – alive. 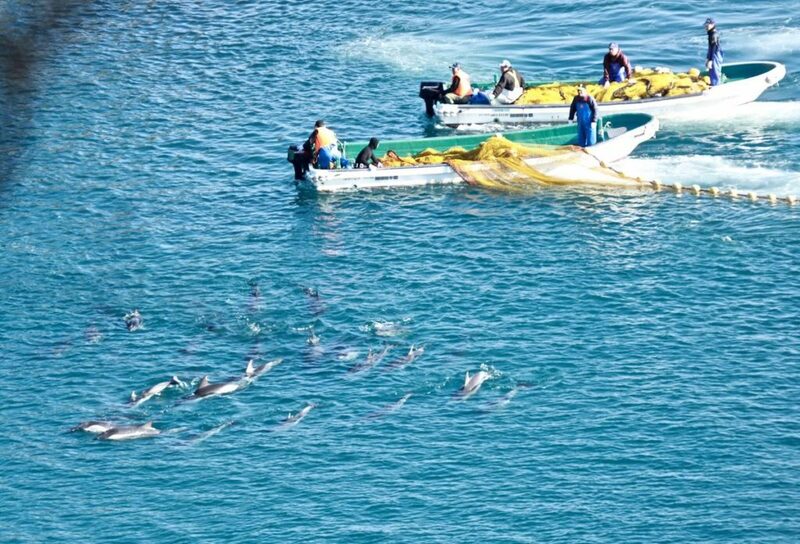 The bloody waters of the cove are all that remain of this beautiful pod of striped dolphins. The Cove runs red from the blood of the dead. And another pod is no more.